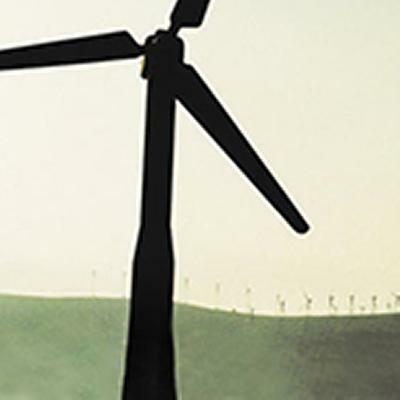 The University of Southampton is a key partner in the European-wide WINDTRUST project, which aims to enhance the wind energy sector by improving turbine reliability. The effectiveness of wind energy generation depends on wind turbine reliability and the ability to minimise down-times. WINDTRUST, which started last month, will meet this objective of improving the competitiveness of the wind energy sector by further enhancing the design of three key components: the rotor blades, the power electronics and the wind turbine controller. For the blades, the use of carbon fibre will be optimised for a better cost-efficiency, while power electronics will be made more reliable through a new design that involves fewer and better integrated components. At the same time, WINDTRUST will evaluate several control algorithms in order to improve the detection of faults and the prevention of failures, thus contributing to the overall reliability of wind turbines. During the three-year project, key industrial players and research centres will work together to demonstrate the technical and economic feasibility of the selected technological solutions by fitting the new components onto an onshore 2 MW prototype turbine. The results will be used for implementation on larger turbines and off-shore locations. As part of the project, Robert Wood, Professor of Surface Engineering and Tribology at the University of Southampton, will be working in close collaboration with leading wind turbine blade manufacturer LM Wind Power from Denmark. Three postdoctoral research fellows from the University’s national Centre for Advanced Tribology (nCATS) will also be recruited to work with Professor Wood on the project. Besides the expected gain in performance, WINDTRUST will perform a thorough cost-analysis and develop a business plan for each of the new components, thus providing the tools for a successful market uptake. WINDTRUST is co-financed by the European Commission under the 7th Framework Programme for Research and is set to run until September 2015. It is coordinated by GAMESA and brings together key European industries and wind energy actors: LM Wind Power AS, Semikron Elektronic GMBH & Co, National Renewable Energy Centre of Spain (CENER), Danmarks Tekniske Universitet, University of Strathclyde, Greece’s national Centre for Renewable Energy Sources and Saving (CRES), University of Southampton and Greenovate! Europe.